While on his way to present a movie idea to Walt Disney, our tour guide discovers how a cartoon is created through art, sound, and color. Along the way, he meets Donald, Pluto, Goofy, and other Disney favorites. He also witnesses the birth of "Baby Weems," a brilliantly funny animated work-in-progress, and invites us to enjoy an animated short he originally pitched to Walt, titled "The Reluctant Dragon." Step back in time and see how Walt Disney's animated movie idea THE RELUCTANT DRAGON was created through art, sound, and color. 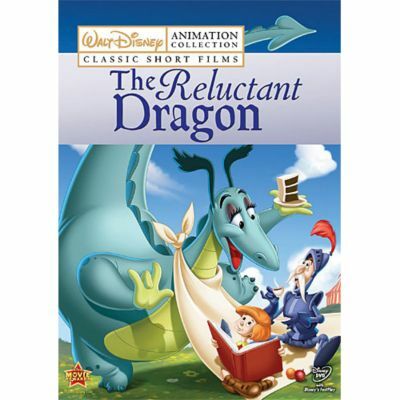 "The Reluctant Dragon" follows the adventures of a brave young boy who decides to pursue the dragon that is terrifying the villagers. Join Lewis, a brilliant young inventor who sets off on a time-traveling adventure to find the amazing family he never knew. You'll discover that it truly is a small world after all as you travel around the globe with this sensational animated collection.